The Books and Papers category has details and purchase availability of 12 books by The English Spelling Society Members. The other items in this category are the full texts of Papers and a book (Written Dialects) by members. The Anthology of the Bulletins, with many articles by members, has the full text, in sections. 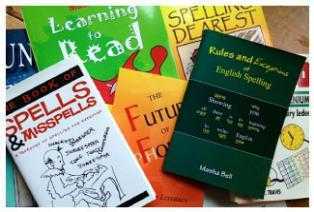 Cut Spelling and New Spelling have the the full texts of the books, by members, in chapters. 1. The History of SR.
4. SR in foreign languages.